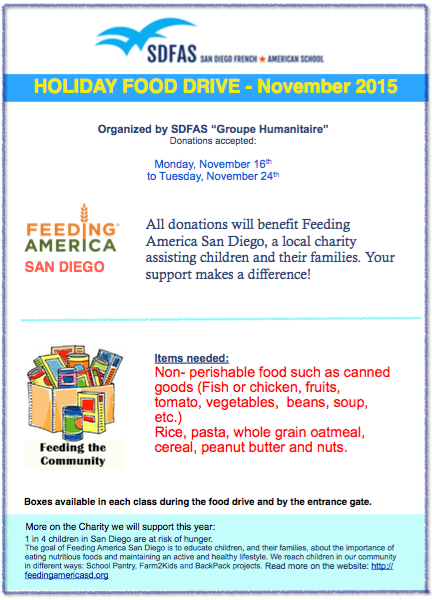 On Thursday, November 5 the food drive at SDFAS started. 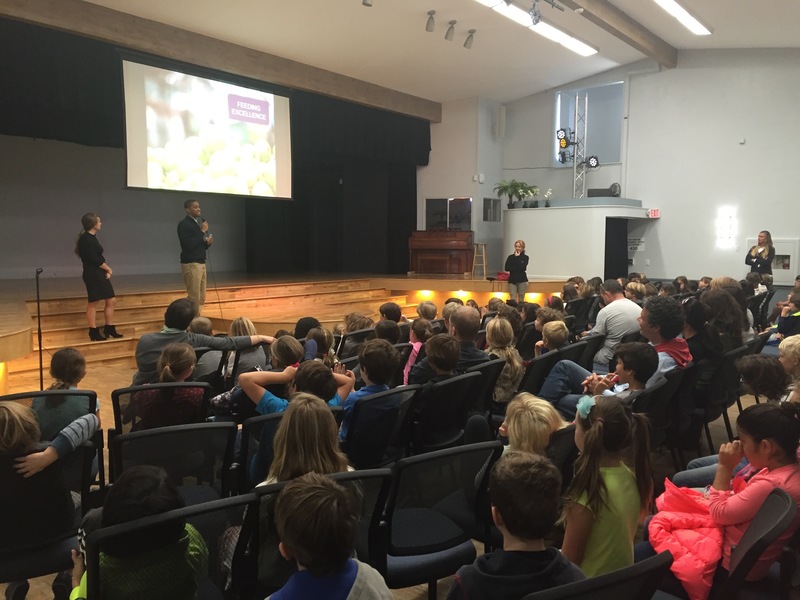 During the Forum, all students, from 1st to 8th, attended a presentation by the Association Feeding America San Diego. All classes receives a box where students can bring their donations. This event lasts from November 16 to November 24.